Don’t wait – contact Frank D’Amico, Jr., The Strong Arm for legal representation in your personal injury case – 504-525-7272. The Law Offices of Frank D’Amico, Jr. A plaintiff’s litigation practice founded in 1986 by Frank D’Amico Jr. Through associating with local law firms and extensively traveling through the United States, we are able to provide our superior legal services to all clients who are in need. 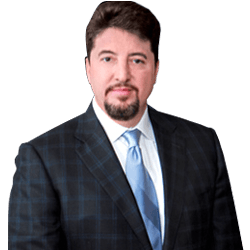 Frank D’Amico Jr. and his associates constitute “the strong arm of the law,” always ready to help you get what you deserve for the injuries you have received. In our Metairie office, we have a staff of fifteen. There are three attorneys associated with Mr. D’Amico as well as two who are “of counsel”. We also have two investigators on staff and an experienced, committed team of paralegals and support staff who work the cases and help keep our clients up to date on their case progress. We work together as a team to get the best possible results for our clients. If you want the finest legal representation for your personal injury case, do not hesitate to contact our office. We can handle your personal injury case, no matter the venue in the United States, and we can provide you with the level of representation that you deserve.